For the first time ever, Luckyfest is EXTRA LUCKY with a 3-part event! Lucky Night, Lucky Brunch, and LUCKYFEST! 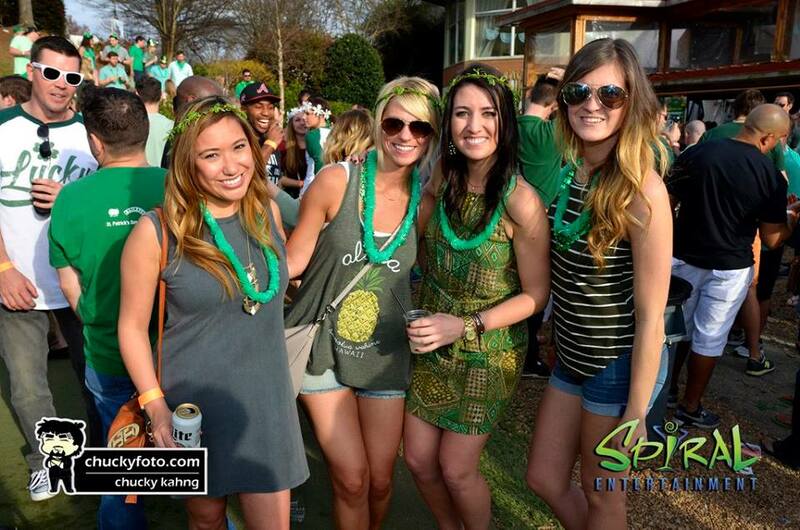 Live bands and entertainment all day, plus tons of green beer! Tickets on sale NOW! Live bands and entertainment all day! Plus tons of green beer! Music lineup will be announced soon. Don't miss this opportunity to catch Luckyfest XL 2017 at Park Tavern, Piedmont Park at this exclusive Atlanta performance! Tickets for this event will sell out! Get yours now! Initial release tickets are available starting at just $15! Click on a picture and use the left and right arrow keys to browse the complete set of photos from Park Tavern, Piedmont Park. Park Tavern, the Piedmont Room and Piedmont Garden Tent facilities have had the honor of hosting several large fundraising events, annual festivals such as Oyster-Crawfish Festival and Luckyfest, and concerts featuring musical talents such as Bon Jovi, Collective Soul and Maroon 5. Luckyfest XL 2017 at Park Tavern, Piedmont Park Live in Atlanta!